Estonian provider Magnetic MRO has opened two new line maintenance stations. One of these, at Croatia’s Zagreb airport, became operational May 1. The second station is located at Tirana airport in Albania is scheduled to enter service in early June. Both are part of Magnetic MRO’s geographic expansion strategy. The Zagreb station will specialize in Bombardier aircraft. The Tirana facility will primarily focus on Airbus airliners. Magnetic MRO (formerly Air Maintenance Estonia) is aiming to make Europe’s top three of independent line maintenance station networks. It already runs five stations, located at Milan Malpensa, Vilnius, Copenhagen, Oulu (Finland), and Gallivare (Sweden). The company says it is investing heavily into adding new aircraft types to its portfolio to meet customer demand. 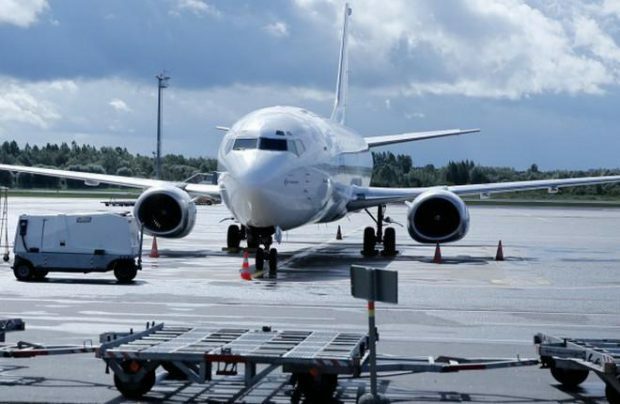 In parallel, the provider is gearing up to launch a new painting facility at Tallinn airport, according to MRO Network. The two-storey hangar with a total floor area of 2,853 square meters is to become operational in about six months’ time. Apart from the paint shop, it will also house workshops, offices, a conference hall, a customer area, and support facilities. With this addition of 1,628 square meters, Magnetic MRO’s total painting area at Tallinn will reach 4,345 square meters. The painting hangar will be equipped with a custom docking system tailored to serve different aircraft types, and will have a climate control system. Similarly to the company’s existing painting facility in Tallinn, the new one will specialize in narrowbody airliners. It will expand the provider’s painting capacity to four airframes per month.